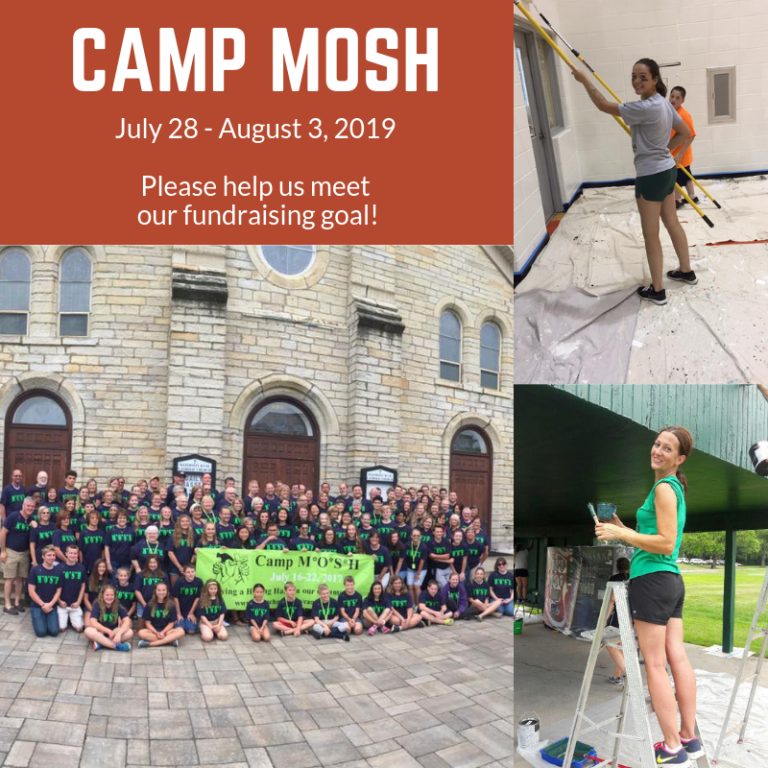 Camp MOSH is a 6 day experience where volunteers throughout the community gather together to give a helping hand to those in need. A sense of community is built by providing support for our neighbors helping them with projects such as (but not limited to) painting, light carpentry work, yard work and cleaning. Our purpose is to serve the needs in our community! It is truly a beautiful sight! Who and How does Camp M*O*S*H help? There are so many people within our own community who just need a helping hand. Whether it be someone who just lost a job, in suffering from a long illness,an elderly neighbor or maybe someone who is just feeling overwhelmed with life. We all need help at times. In addition, we also help non-profits right here in our community who rely on volunteers to keep their organization running. If you have a job that can be accomplished by teenagers, supervised by adults, maybe we can help. Work projects range from planting trees, repainting homes, building sheds, cleaning houses, cleaning out basements, yard work, painting fences, and volunteering at local shelters, just to name a few. Who can volunteer at Camp M*O*S*H? Most of the volunteers are the teens (going into 7th grade and older) and adults from our parish here at Maternity BVM Church, but many are from our neighboring Catholic Churches. 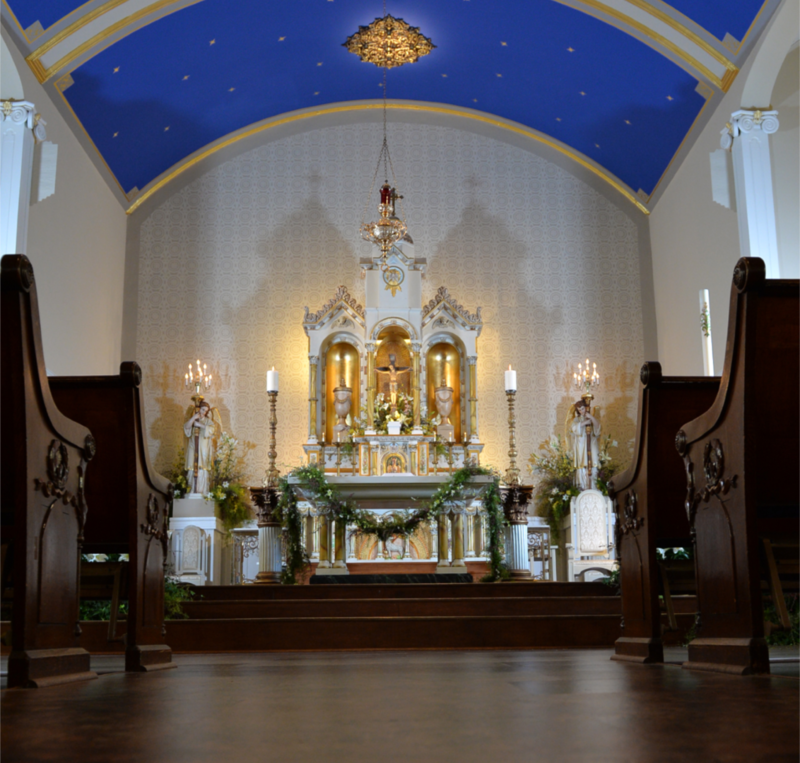 To volunteer, download the volunteer form which will be located on this page and mail to Maternity BVM Catholic Church, Attn: Elise Dubravec at 308 E. Marsile St., Bourbonnais, IL 60914. If a volunteer is over 18 years of age, you must have completed the "Protecting God's Children" class, as well as, a background check. This information can be provided in the Parish Office. We start the day at 8:00 a.m., and serve the campers breakfast, and have the make their own lunches (food donated) to bring to the work site. All other volunteers meet us at 8:30 a.m. to start the morning with prayer and a safety meeting. We work from 9:00 a.m. till 3:00 p.m. Monday through Friday. Transportation is provided to each work site. What happens after the work is done for the day? The volunteers return back to the Maternity BVM campus then can go home and shower before attending the various prayer services we offer. At approximately 5:30pm we offer the campers dinner, which is provided by our volunteers. We invite everyone from the community to join us every night from 7:00 p.m. - 9:00 p.m for entertainment, and again from 9:00-10:00 p.m. for Praise and Worship. Our nightly schedule of inspirational & spiritual speakers and entertainment can be found below. Please consider joining us! You can help by volunteering, donating, or by sending in a Work Request. Everyone benefits when you're involved with Camp MOSH!